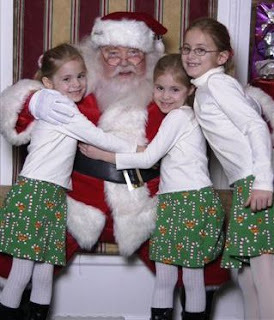 This is a customer photo sent to us of twins Mara and Ella and older sister Leah, all wearing matching candy cane skorts for a trip to see Santa. We know that many of customers buy matching clothing from CWDkids specifically for their twins. We have found that some of our customers like to dress their same gender twins, or multiples in identical outfits, or outfits that coordinate in color or theme, but are not necessarily identical. Do you have multiples in your family? Comment on this post and tell us what you think of our family collection. Are there more styles, colors, or themes you wish we carried for multiples? If you have a photos of your children wearing matching outfits that you would like to share, we would love to see them! 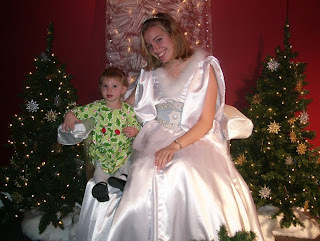 Email your high resolution photos to cathywdaley@cwdkids.com. 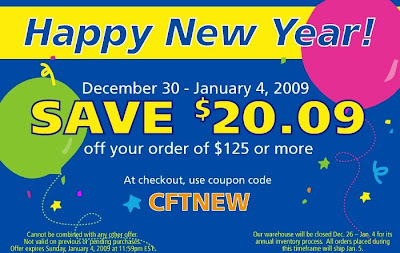 Don't miss out on this special offer--In celebration of 2009, save $20.09 off your order of $125 or more now through January 4, 2009! Enter Coupon Code CFTNEW during checkout to receive this special discount. Start shopping now! We know that many of you most likely have a big collection of books that your children love to read or have read to them. Have you collected any seasonally themed books, like Halloween, Thanksgiving, or Christmas books that you keep on the shelf most of the year, or that end up getting lost? Here's a great tip we found on ParentHacks.com. **Our Warehouse will be closed 12/26/08-1/4/09 for Inventory. All orders placed on 12/26/08 will ship on 1/5/09. Thank you to all who entered our 12 Days of Giveaway contests! We loved reading all about your family activities & traditions, and your product suggestions & ideas! Below is a list of the winners for each day. 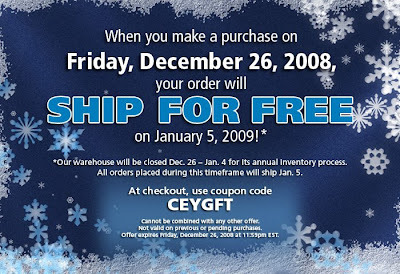 **You have until January 4th, 2009 to contact us to redeem your prize. Please email us at support@cwdkids.com with your name and mailing address and we will get your prize out to you right away....congratulations! My family is very big on the local Salvation Army. Before going back to school to get my degree, I was a single mom with two kids. The Salvation Army took my kids Christmas Shopping and gave us enough food for a Christmas Day meal. Now that I am in a better place, we try to donate and get angels from the Angel tree every year in order to pay back what they gave us! God Bless!! no contest - the hula hoop photo! it's such a natural, happy, moment of playful childhood energy!doesn't feel posed or overstructured. Thanks for your great promos! You need a lot more boy items with the cowboy theme. My son's room is Cowboy and while you have grand little girl stuff, boys need items too. Most little boys I know want to look like a real cowboy so western wear may be more appropriate. It depends if you are going the Horse theme or the Cowboy/girl theme. The general Cowboy/girl theme is probably more versatile. Yoda would be extremely cute (If a 900 year old wrinkled green guy is cute...) And a Lego mini-figure of a Star Wars character, Batman, or Indiana Jones (like the Lego video games with those characters). My littlest grandson loves BUGS...creepy crawlers of all kinds. He is a true outdoor explorer and he would be tickled to have a sleeping bag with a bug print. I have had a hard time finding bug themed clothes for him. Does that sound silly? Oh well, he likes what he likes. I have another grandson who would be over the moon for a sleeping bag with a FIRE TRUCK print! Another tough theme to find out in the market place. Thanks. We drive around town wearing our pjs on Christmas Eve to look at the lights. We always eat homemade frosted cookies before bed in the dark while sitting by the tree. We leave some out for Santa, too. 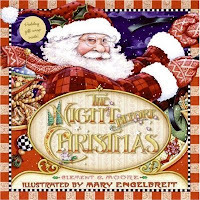 We always read "'Twas the Night Before Christmas" (my husband's old pop-up version!) together. On Christmas morning, we eat homemade coffeecake while we leisurely open gifts. We tear into stockings first, but do the rest more slowly. I blog myself and I love reading www.mycharmingkids.net and www.5minutesformom.com! These sites are great! Ooooh, dancing and singing (with her flashlight "microphone") and dancing and singing and dancing and singing and, did I mention dancing and singing? Lots of cute things, but we will FOR SURE be buying that Superman Rash Guard!! Awesome!! I would say Jumping Jacks, Timberland, Geox, Uggs, Juicy, Crocs, and Stride Rite. Thank you and good luck! It all began decades ago in 1936 when the "real" Santa Claus first visited the Miller & Rhoads department store in downtown Richmond, VA. 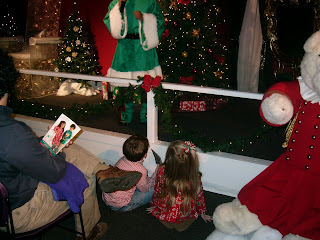 So it began--Generation after generation of children and their families would visit the department store dressed in their Christmas finest to see Santa, who eventually became known as the Legendary Santa. 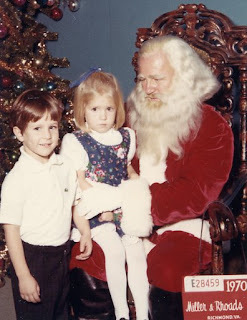 This is a picture of CWDkids President, Jim Klaus, and his sister Ashley with the Legendary Santa in 1970! 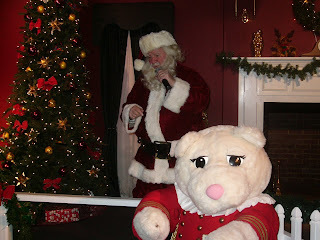 Santa talks to the children after he comes down the chimney....time to line up for pictures! 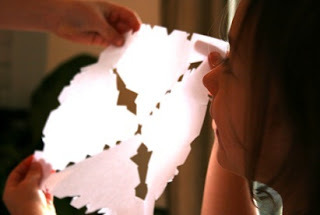 We came across this wonderful article all about Snowflakes on PlayfulLearning.com. With all the storms blowing through this time of year, we thought this was a perfect opportunity to show your kids that science can be fun! While they are home from school this week, show them the snowflake guide which features several different beautiful shapes and watch a short video which explains why no two snowflakes are alike. Also, you don't want to miss the craft video - The Perfect Paper Snowflake, or Snowflakes under a Microscope. See all sale merchandise Here. Time is Running Out To Save on Spring! 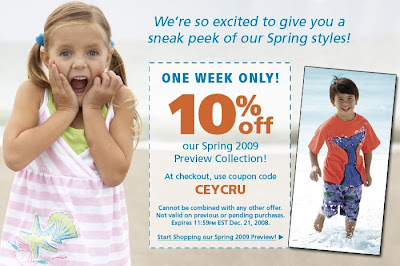 You only have a few more days to save 10% on our Spring 2009 Collection! Enter code CEYCRU at checkout to receive the discount. Offer expires Midnight EST on 12/21. It doesn't cost much to start a new holiday family tradition for you and your kids. We love these homemade gift projects we found on Design Mom that children can make for their siblings. Let's face it, everyone is feeling the pinch this year. What a great way to spend just a few dollars and use some Arts & Crafts materials you probably have at home, while sparking your kids creativity. Show them that the holiday's are not all about buying--create your own unique, original gifts. These are the cherished items that you will want to hold on to as keepsakes for years to come. What would the holiday season be like without the movies that we watch year after year after year? 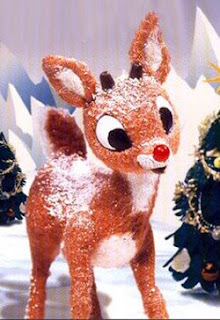 Whether it's flying reindeer, talking snowmen, a fuzzy green character who loathes Christmas, or a boy and his Red Ryder BB gun, the holidays just wouldn't be the same without these classic movies. There's only one weekend left before Christmas! Which movies will you sit down to with your families? Click Here to see Cookie Magazine's Top 5 Holiday Films. We want to know what you will be watching this year. Tell us about the holiday movies or programs you love by commenting on this post! Well, we've reached the end of our 12 Days of Giveaways, so we wanted this final day to be a gift for everyone! Today only on 12/16, get FREE STANDARD SHIPPING on any order! Enter code CEYGIV in the coupon code box during checkout for this one day only treat. ***IMPORTANT*** If you order today and need your package by Christmas, you must select Express Shipping during checkout, and enter the code CEYGIV in the Comments & Suggestions box on the credit card checkout page. 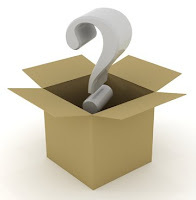 After you submit your order, we will manually credit you the fee for STANDARD Shipping. You will receive an email confirmation with the adjusted shipping. Congratulations "Jingle Bell Rock" family....you've been selected as this years winner of our Holiday Photo Contest and a $250 CWDkids Gift Certificate! Please email us at support@cwdkids.com with your name and mailing address and we will send the gift certificate out to you right away! We had so much fun seeing all of your photos come in each day...thank you to everyone who entered our contest. Happy Holidays everyone! Have you ever heard the song New Shoes? "Hey...I put some new shoes on and suddenly everything is right..." It's so true, and even kids love new shoes! Tell us what other brands of shoes you would like to see us carry by commenting on this post. One person will be chosen to receive one pair of IM Link shoes. ** Please check back to see if you have been selected as the winner, we will post all winners Dec. 25th. **We cannot guarantee that all shoe sizes will be available, but will do our best to accommodate your specific size request. Each day we will post a different contest and prize. You can enter any of the contests you like through Dec. 24. All winners from each of the 12 contests will be announced on December 25th. You must check back to see if you were selected as a winner! We know its not even officially winter yet...but we are already thinking about Spring/Summer 2009. We've added a few new styles to our website and want to know your favorites. Click Here to view our current spring collection. Comment on this post and tell us what you like best. One winner will be picked to receive one swimsuit** of your choice! Good luck, and remember to check back at the end of the month to see if you've been selected as the winner. **We cannot guarantee that all swimsuit sizes will be available, but will do our best to accommodate your child's specific size request. Lunchtime Free Shipping - Hurry Today Only! Many of us at CWDkids are moms, and we know how crazy your schedules can be, especially when it comes to our kids extracurricular activities. 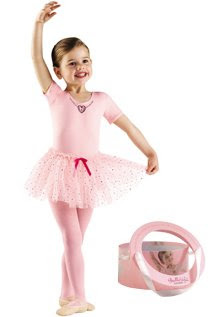 Many of our customers have daughters that love ballet and dance, or just dressing up like a ballerina! This winner of this contest will receive a Danskin Ballerina in a Box. (Size 2/4, 4/6, or 6X/7). Comment on this post and tell us about the activities your kids love. Your comments help our merchandising team with graphic and design ideas, so that we can bring you more of the unique, fun clothing you love! Don't forget to check back to see if you've been selected as the winner! Just a heads up...a little birdie just told us that there will be a Special Gift for all of our blog readers tomorrow around lunch time. Hmmm...we wonder what it will be? Come back tomorrow to find out! Also - Don't forget you have until Dec. 12 to enter our Day 3 contest. We will choose three people who place an order with CWDkids by Dec. 12 to receive 30% off their order. All you have to do is comment on the December 3 blog post with your order confirmation number. We will announce the three winners on December 25th, but you have to check back to see if you've been selected! Today we want to hear from all you blog fans out there...Tell us which blogs or web sites you visit on a regular basis and why. Do you have a favorite blog or web site that is all about kids, kids fashion, parenting, cooking, etc? Do you write your own blog? Comment on this post and one person will be chosen to receive a $50 CWDkids Gift certificate. Remember, you must come back to see if you've been selected as the winner! Moving right along....Day Seven is all about Family Traditions. At CWDkids we think of ourselves as a family, and we have enjoyed getting to know our customers and your families through emailed photos over the years, and now from your posts on kidbits. Tell us a little bit more about your special holiday family traditions. Do you stay up and read stories together? Do you bake cookies on Christmas Eve? Do you open one present and save the the rest for Christmas Day? Comment on this post and one person will be chosen to receive one CWDkids brand outfit! ** Click Here to see all CWDkids brand clothing. Remember, you must check back to see if you've been selected as the winner! **We cannot guarantee that all sizes will be available, but will do our best to accommodate your specific size request. 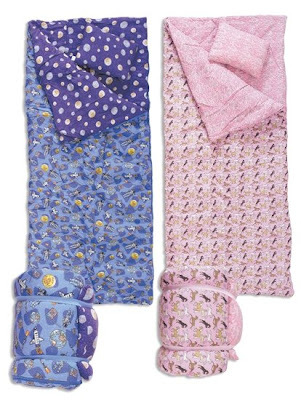 Day 6 of Giveaways: This spring we are adding a new accessory to our sleepwear line - Sleeping Bags! Whether it's sleep-over, or just camping out on the family room floor, these fun sleeping bags will make their adventure complete. We are always open to new ideas....Comment on this blog post and tell us what sleeping bag patterns would compliment your children's interests. One person will be picked to receive one sleeping bag of their choice. (Space or Horse). We will announce the winner Dec. 25, don't forget to come back to see if you've been selected! $12.99 Long Sleeve Tee-Shirt Clearance! 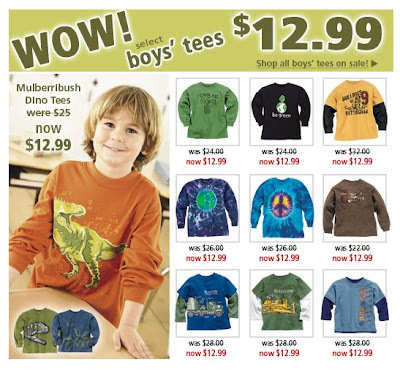 Dinosaurs, Trucks, Sports and More--Stock up on fun graphic Long Sleeve Tee's only $12.99 while supplies last!! Check out all $12.99 Tee-Shirts and other great deals on Tee's Here. It's Giveaway Day 5 and today's prize is a spring 2009 Junk Food Tee! These t-shirts by Junk Food have been extremely popular so we ordered more for Spring (See image below of spring styles). Click Here to see our current Fall selection. 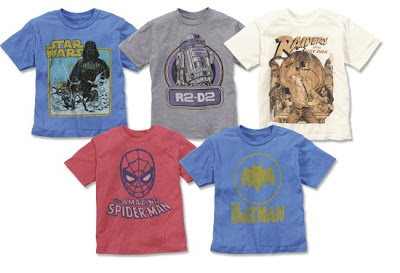 Tell us what other characters for boy's or girl's you would like to see on these super cool t-shirts. One winner will be selected to receive a Spring 2009 T-shirt of their choice. ** (See choices below, click for a closer look). Remember, you must come back to see if you've been selected as the winner. Good luck! **We cannot guarantee that all t-shirt sizes will be available, but will do our best to accommodate your specific size request. It's Day 4 and this one is for the Horse Lovers out there! Our horse theme clothing has become a real staple at CWDkids. We know that many of our customers love horses, so we are constantly seeking out new horse designs and fun horse theme products like rain gear, back packs, and lunch boxes. See all our horse theme merchandise here. Today, we are asking you for suggestions. What are we missing? Tell us what horse theme items you would like to see us carry, or carry more of. 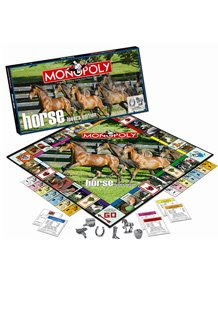 Comment on this blog post with your ideas and one person will be selected to receive Monopoly - Horse Lovers Edition! Don't forget, you have to check back to see if you've been selected as the winner. It's cold outside! 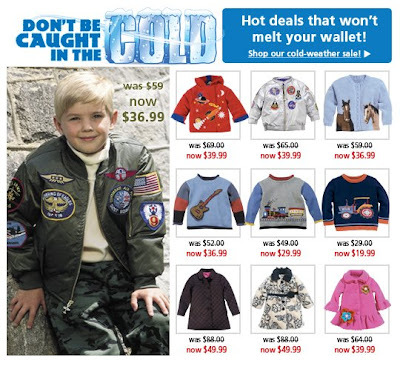 Shop Big Markdowns on Outerwear and Sweaters before they melt away! Each day we will post a different contest and prize. You can enter any of the contests you like through Dec. 24. All winners from each of the 12 contests will be announced on December 25th! You must check back to see if you were selected as a winner! Today is day 3 of Giveaways! All you have to do is place an order between December 3 - December 12. We will select THREE random people who placed orders during that time frame to receive 30% off their order! To enter, comment on this blog post with your order confirmation number. Remember, only customers who place an order between Dec. 3 - Dec. 12 are eligible to win. We will choose the winners on Dec. 25th and will credit three lucky shoppers 30% of their order total. You must check back on Dec. 25 to see if you've been selected. Taking a spring break vacation? While you are shopping, don't miss our new Spring 2009 collection. We have lots of new warmer weather styles for boys and girls. 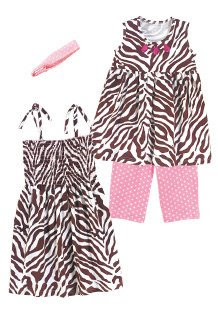 In the coming season, you'll see more fun animal prints like this CWDkids Exclusive zebra print smocked dress and capri set. You won't find these items anywhere else! 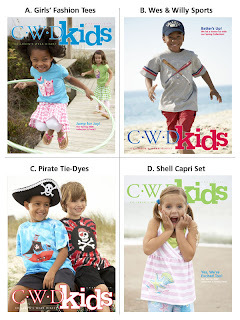 It's Giveaway day two, and we want to know what you think --Below are four CWDkids catalog covers we are considering for spring 2009. Simply comment on this blog post to cast your vote, and one entrant will be selected to win a $50 gift certificate! We will announce the winner on Dec. 25th. Check back on the 25th to see if you've been selected as the winner. Look out for the winning cover in your mailbox this spring! (Click the below image to get a closer look). Each day we will be posting a different contest and prize. You will have the entire month of December to enter any of the contests you like. All winners from each of the 12 contests will be announced on December 25th! Day One - Since this is the season of giving, we would like to start off by asking you to tell us about a charity near and dear to your heart. Just comment on this blog post and tell us about your favorite charity. We will pick one entry and donate $250 to that charity. Good luck and don't forget to check back each day, we have lots of cool stuff to give away! These prices are too good to pass up--Click Here for great deals on select Holiday styles, while supplies last! Pajamas with fun patterns make the perfect gift! 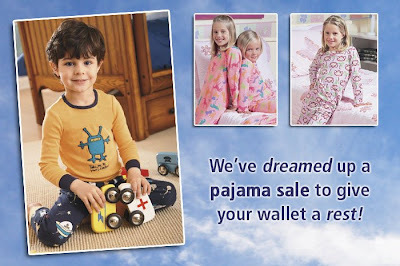 Click Here to view all comfy, cozy PJ's on sale now at CWDkids! 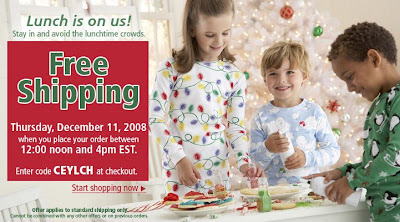 Free Shipping - Thanksgiving Day Only! CWDkids Thanksgiving Special--What's on the menu? FREE STANDARD SHIPPING all day November 27th! Just enter code CEYTGN at checkout. So before or after the festivities, treat yourself to free standard shipping Thanksgiving Day only. Sleep in on Friday morning and relax, you deserve it! We wanted to make you aware of a small but important update to our web site's home page. Thank you for bringing this to our attention! 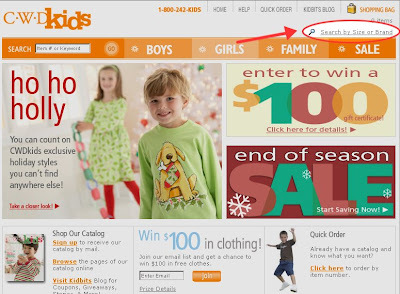 We hope this makes shopping at www.CWDkids.com a little easier. Searching by Size and/or Brand is a great way to return relevant results and quickly find what you are looking for. Go check it out! If you have any other feedback or suggestions regarding our website, www.CWDkids.com, please comment on this post or email us at cathywdaley@cwdkids.com. Flats, Flats, Flats--It's all the rage! Ballet Flats are becoming so popular, we are seeing them everywhere. Check out this article we found on About.com: Kids Fashion, Shoes for Girls: 10 Totally In-Style Looks For Her Feet. 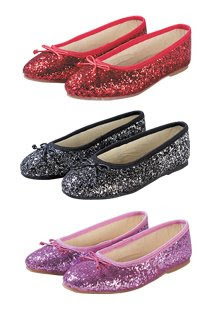 These Glitter Flats are one of our hottest selling items for girls this season. Any budding fashionista knows its all about the accessories, and these flats add just enough glamour to finish their look. Perfect for the holidays! Girls love these casual, yet dressy and comfortable shoes. We love that Flats are so fashionable, yet still age appropriate. View all of our casual and dressy Flats here. Polo Sale - Quantities Are Limited! 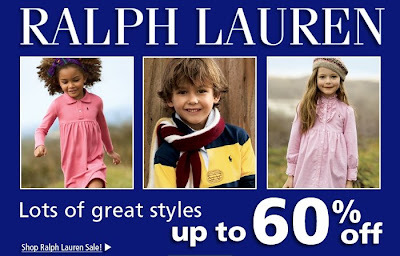 Save up to 60% on Polo Ralph Lauren while supplies last! Click Here to see all Polo items on sale now! The word is out, so stock up while you still have a chance to save! "OK so, since the theme is Thanksgiving, I will post my grandmother's cornbread dressing. Now I make it for the family and every year someone says,"Don't mess with the dressing!" 3 - 4 boxes Jiffy cornbread mix, make cornbread, cool, and break into pieces. Mix all together and pour into buttered 9X13 pan or pyrex dish/ Bake 30 - 4 minutes at 350. ****Be sure you can pour mixture into pan or it will be dry. Put a few pats of butter on top before baking and cover during baking. Gulley - Thank you for your Grandmother's secret cornbread dressing recipe. It's so nice to pass down family traditions year after year. Please email us at support@cwdkids.com with your name and mailing address and we will get the gift certificate out to you right away....congratulations! We really love these fun, easy ideas from No Fuss Fabulous to make Thanksgiving special for the little ones! It's all about creating a super cute "Kid's Table" that will keep them occupied and make the holiday extra special. 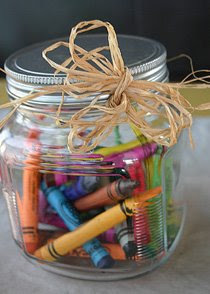 How cute is this mason jar centerpiece filled with crayons they can use to draw on tiny pumpkins or their coloring table mat? Take the pumpkin home and display their art. What parent is not proud of their little artists? Here's another cute idea from FamilyFun.com. Get the kids involved before the festivities by creating these whimsical thumb print turkey place cards for the entire family. If you have a craft idea you would like to share, we would love to hear from you! Please contact us at cathywdaley@cwdkids.com. 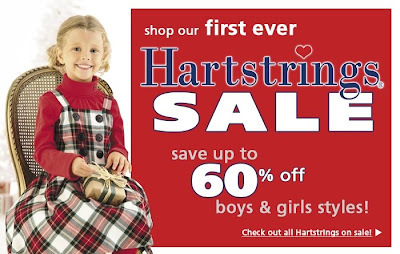 You'll love this...Save up to 60% on these select Hartstrings Items! 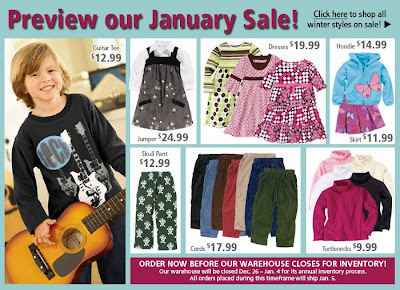 View all Hartstrings items on sale now at CWDkids. You don't want miss out on this special offer, shop now while supplies last! Here's another great holiday photo we received of Drew, Gabe, Ranger and Cooper "hanging out" in their CWD kids matching Striped Rugby Shirts by Hartstrings. These Striped Rugby Shirts are a CWDkids Exclusive! They were made by Hartstrings specifically for us, so you will only find them at CWDkids! Keep the photos coming! You still have plenty of time to send in your family pictures for a chance to win a $250 Gift Certficate! 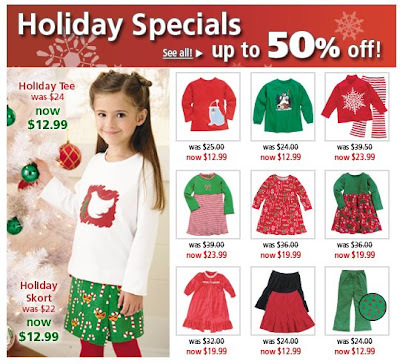 ...at these prices, our holiday styles will be gone in no time. 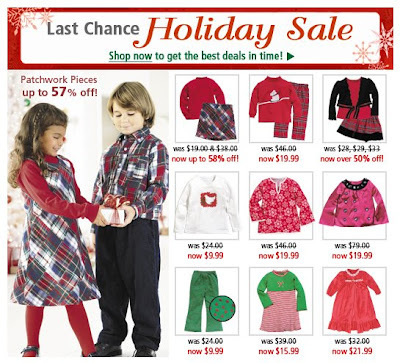 Click here to shop our Holiday Sale and Clearance! And don't forget to send us your photos... we are giving away $250 to one lucky winner. Click here for details.